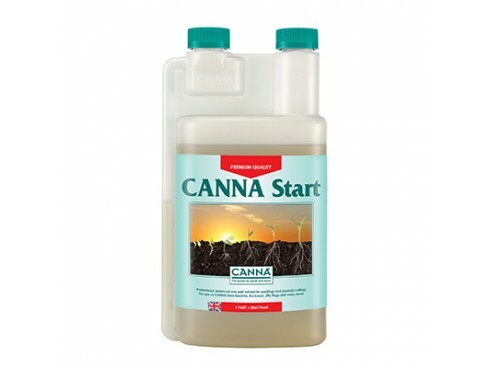 CANNA Start is a balanced one-part nutrient for seedlings and (rooted) cuttings. CANNA Start can be used on various substrates like rock-wool plugs, coco pellets, jiffy plugs, seedmixes and most other propagation media, except re-circulating systems and clone machines. Propagation media are media on which you can reproduce plants. CANNA Start gives you all the micro- and macro nutritional elements for a seedling or cutting to develop into a strong healthy plant. 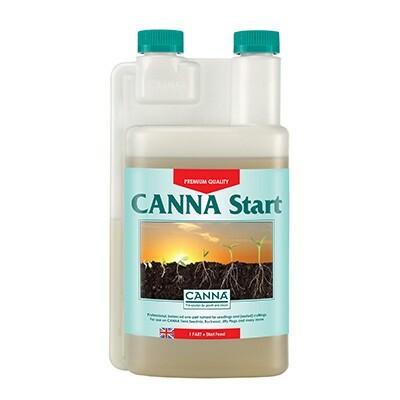 CANNA Start is a balanced one-part nutrient for seedlings and (rooted) cuttings. CANNA Start can be used on various substrates like rock-wool plugs, coco pellets, jiffy plugs, seedmixes and most other propagation media, except re-circulating systems and clone machines. Propagation media are media on which you can reproduce plants. CANNA Start gives you all the micro- and macro nutritional elements for a seedling or cutting to develop into a strong healthy plant.